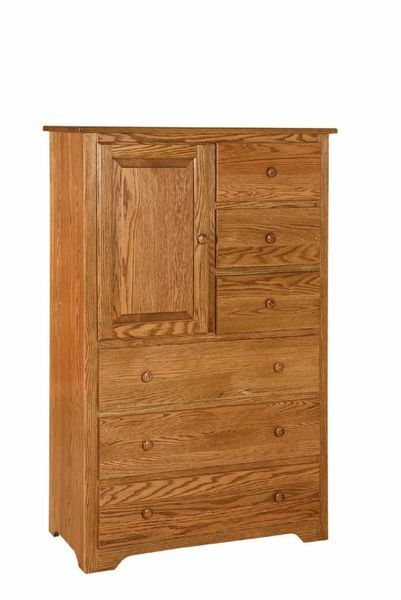 This handsome Gentleman's Chest features 6 drawers and one large cabinet for plenty of storage space. The man in your life will love having his own storage chest! He will especially love that this Shaker Chest is Amish handcrafted from solid wood in the USA! It has one large cabinet door on the top with three small drawers next to it and three large drawers on the bottom, each with classic Shaker style wooden knobs. Allow us to introduce the timeless beauty of solid wood furniture to your home with this Shaker Chest of Drawers.